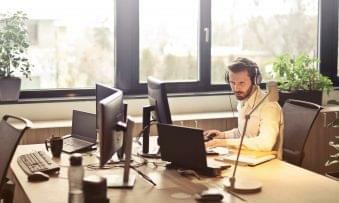 When a business needs calling, texting or authentication functions included in their websites or apps they rely on providers like Twilio or Nexmo. As the driving force behind these text message authentications or even in-app support, both providers offer a Platform as a Service for Cloud based communication APIs. To boil it down, Twilio and Nexmo allow a business to integrate text messaging, voice calls, authentication or even sometimes popular chat apps directly into their existing websites or apps to be utilized by customers and clients. If you have ever created an account online, and had to input a phone number to receive a text message for account verification, then chances are you used one of the few providers on the market. However with Twilio and Nexmo as easily the two biggest names in the industry, we decided to see just how the platforms compare to each other. When comparing platforms or applications, one of the best places to start would be the design. Our first impressions of apps will generally come down to how it all looks, and how the information on screen is organized . Now, the age-old argument function over form still holds true, especially when it comes to software – just because one option is better looking doesn’t mean it’s a better app. However, if a design is so poorly thought out it can easily subtract from the overall platform. Thankfully, neither Twilio or Nexmo suffer from this, but there are some key difference worth noting. Right away, even before you log in to the console, Twilio’s website is very nice looking. Sections are distinguished by color, color is also used to draw your eye to important aspects, and everything is explained in thorough, yet short descriptions. This design theme carries over directly into the console, where users interact with the system. Overall, Twilio uses a very nice, modern design, following popular trends with flat elements and simple icons. Generally when it comes to design, if something isn’t broken then don’t fix it, and what works, works – evidence in Twilio’s design choices. Overall, the console really is a pleasant one. To break it down, the top right of your screen houses main navigation between the Console Dashboard, Account Summary, Quick Access, News and Help. This main navigation bar never changes and houses the most important links for navigating through the Twilio platform. On the left side of your screen is yet another section for links, but this time it’s up to you what’s housed there. Users have the option to pin specific products or sections, for example Voice functions or SMS functions. You can pin as many as you need and cover the entire bar, or just the two sections you only ever touch. Clicking on your pinned section opens up a second bar, for even more options within the same section. From here, the center display follows the same theme with clearly labeled sections, color to distinguish different sections, a clean font with simple yet complete descriptions, and even the most important buttons colored in red to grab your eye. Recently acquired by Vonage, Nexmo is very close to its main competitor Twilio. Twilio is certainly pretty, but then again so is Nexmo. Now design is subjective, and what appeals to one eye might not to another – but I don’t think there is any way you could look at Nexmo’s Console Dashboard, or even their main homepage, and declare the design bad or ugly. However, when flipping from Twilio’s, it seems a bit less nuanced. But that’s not to put Nexmo down, as they clearly took a design theme and ran with it. Something I’ve noticed in Nexmo’s design all around from the homepage to their documentation for developers, simplicity seems to be the absolute key. Compared to Twilio, there’s a lot less going on around the page, and that can be considered a positive mark from Nexmo. With less clutter, the platform should then be easier to navigate. In a similar fashion to Twilio, the top of your Console screen is adorned with navigation links, but this time Nexmo places all of your links at the top of the page. 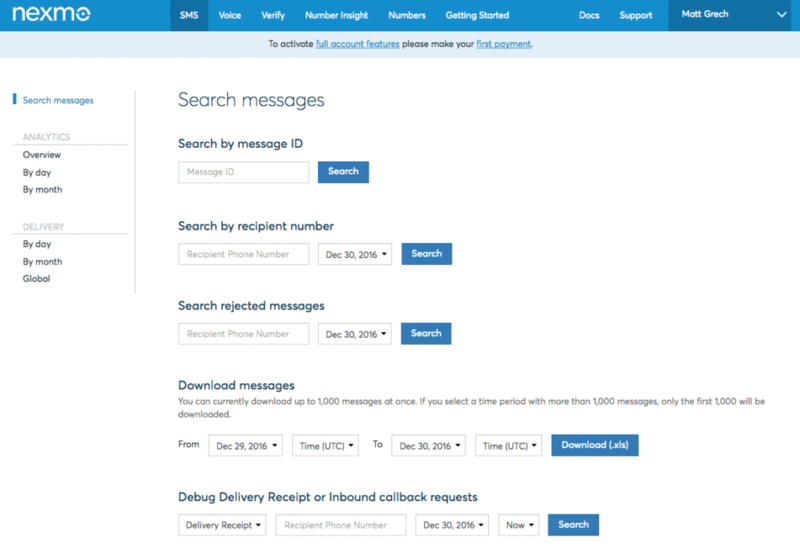 SMS, Voice, Verify, Number Insight and the Numbers function sections are right in the same menu with Getting Started, Docs, Support and your account tab. Following the idea simplicity, Nexmo doesn’t add in an extra navigation panel or nameless icons, just simple words and titles to get the point cross without any confusion. Clicking on one section – let’s say SMS – brings users to a new page for that section, which then contains a navigation menu on the left side of the page, but this is specific to the subsections of your original selection. For example, SMS allows you to then decide between Analytics and Delivery log sections – but this is again simple text links with minimal attention drawn to the section. 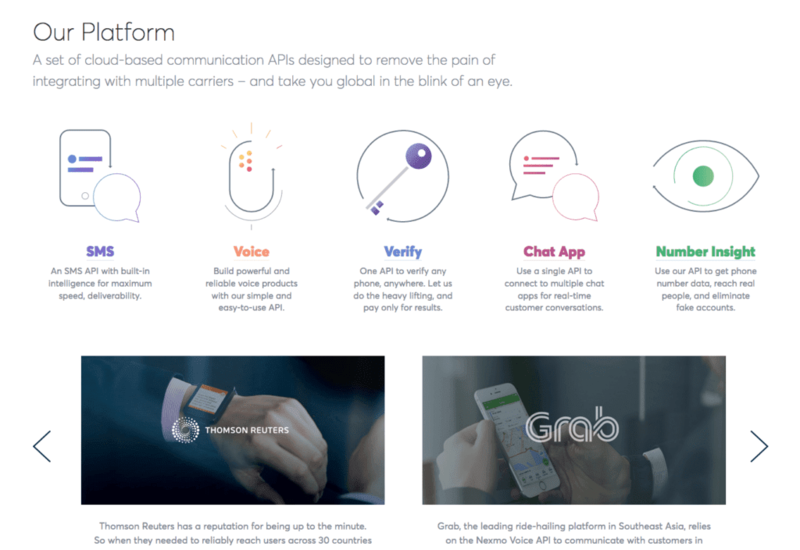 Both platforms utilize color, but Nexmo does so in a subtler, and again simple, fashion – only your navigation bar is blue, the rest of the page is white with important sections sometimes marked in gray. Winner – Twilio: Of course design is subjective, and many may prefer the simplistic choices of Nexmo, but overall I do find myself preferring the look and style Twilio has brought to the table – more on this in UX as well. Now I will preface my user experience observations by stating I am not a developer – my very limited knowledge comes from building HTML and CSS websites when I was 13, so essentially nothing. 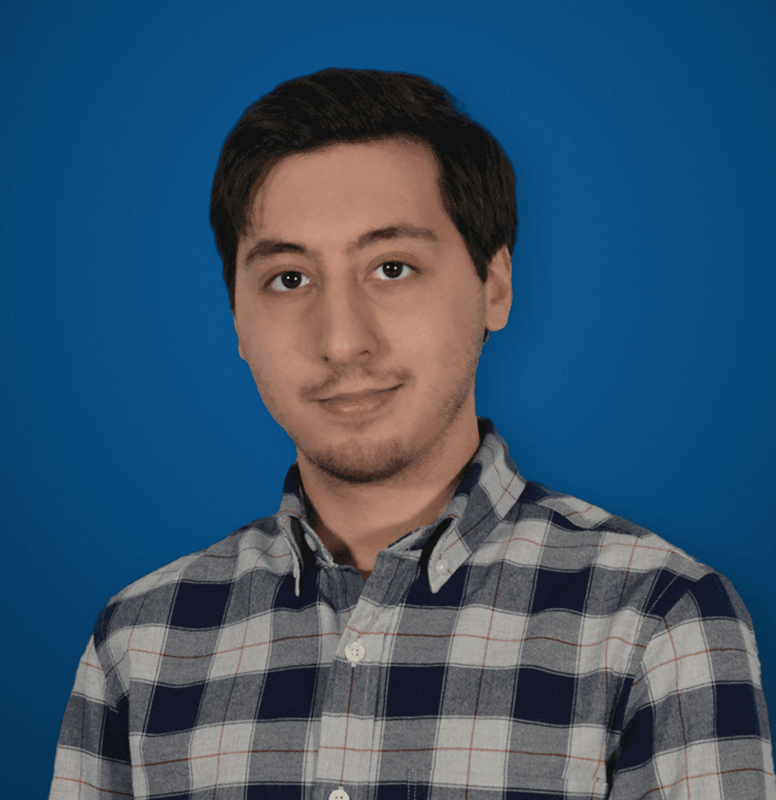 While I was unable to create full functions and truly experience these platforms the way a developer would, I set off with the mindset that I wanted to attempt to complete one task – setup a phone number to send and receive calls from their service. Establishing a similar procedure to attempt allowed me to recreate the experience on both platforms, even if I was unsuccessful I would see what it would take to complete a task, and how easy or difficult these apps might make it. My observations also come from general navigation through the portals, as I try to leave no link unclicked. For the unfamiliar user, such as myself, Twilio does an amazing job of guiding you throughout the platform. Upon opening the Console for the first time, users are prompted with a decision to distinguish between the Developer Console, a simple process to integrate Twilio into another service, or the option to find a SaaS solution that partners with Twilio to function without code. I chose the Developer Console to stay as close to Nexmo as possible. 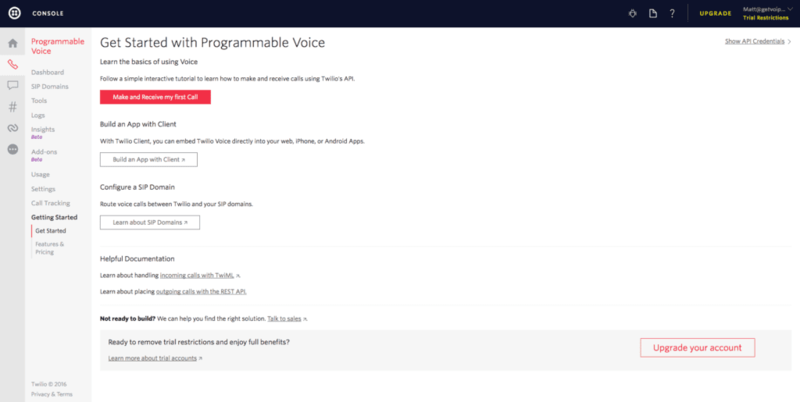 From there, I went to the Voice function to select a Twilio number, input my own for verification purposes and establish the process of both sending and receiving a phone call to and from my Twilio number. The entire process was broken down into 4 sections, each with their own individual process all easily laid out for users. Twilio guides you through the process with simple yet to the point explanations, and even diagrams – and we’re not even utilizing their developer Docs yet, this is just right in the Console itself. 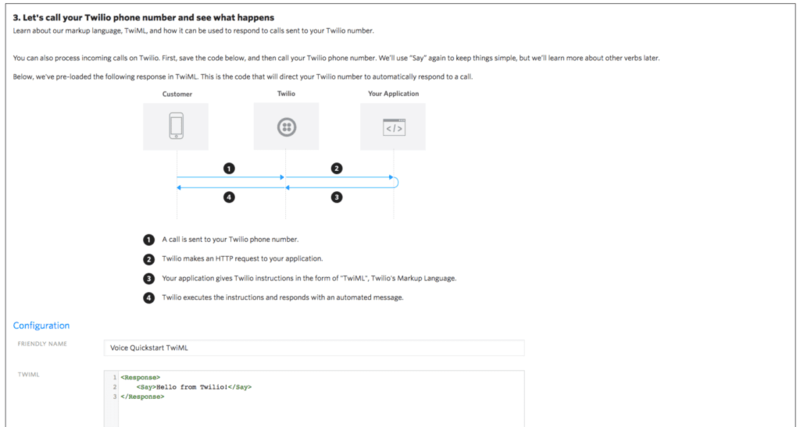 During the process, Twilio also introduces users to TwiML, the platform’s markdown language. You can use this to customize your voice messages in this specific example, and this offers an easy introduction to the language. Upon completing each step, Twilio would then ask “Did it work?” with a Yes or No option – something I really enjoyed, along with diagrams and the simple,yet to the point explanations. Instead of forcing the user to the next step hoping it worked out for them, Twilio makes sure the process worked and if it didn’t, then helps to solve the issue instead of leaving you out in the dry. Overall, the app is mostly easy to navigate and I do enjoy the quick access links and ability to pin the most important sections. After a while it would be second nature, but a new user might take some time to familiarize themselves with all the information. The dev docs have a huge UX boost through their design, with a very easy to navigate section and some really in depth interactive documents. Users can follow tutorials which not only teach you step by step, but allow you to practice build right in the tutorial itself. Guides for specific tasks can also be found in all of the most popular languages. The reference charts will scroll with you as you continue through the tutorial or guide, so you don’t have to dig and scroll back up 5 pages to find that one reference you forgot. Now Nexmo on the other hand continues with that theme of simplicity so prevalent in their overall design. Everything is to the point, and cuts out the clutter. There’s no unnecessary icons, or descriptions, or tutorial overlays. That’s not to say that Nexmo leaves you out to dry, the information you would need is included and everything is labeled very clearly. 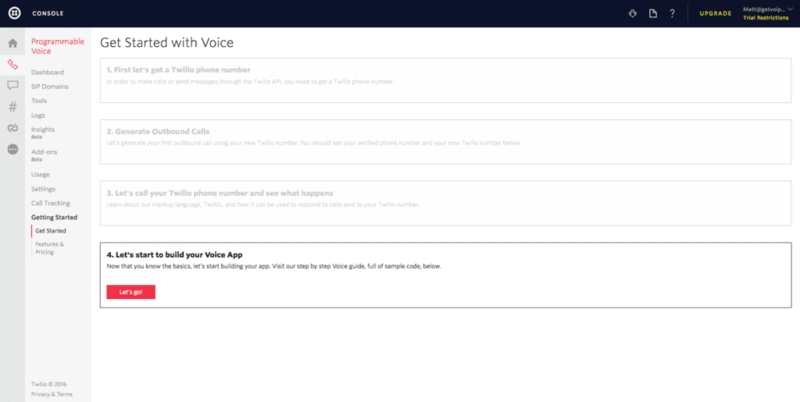 However, with Twilio I was able to setup the process of establishing a phone number, I was able to complete calls both sent and received, and I was able to even customize the voice message that plays, all while being taught about the platform and introduced to Twilio’s own unique language. Nexmo, on the other hand, includes a “Start Developing in minutes” section right on the Getting Started console homepage. 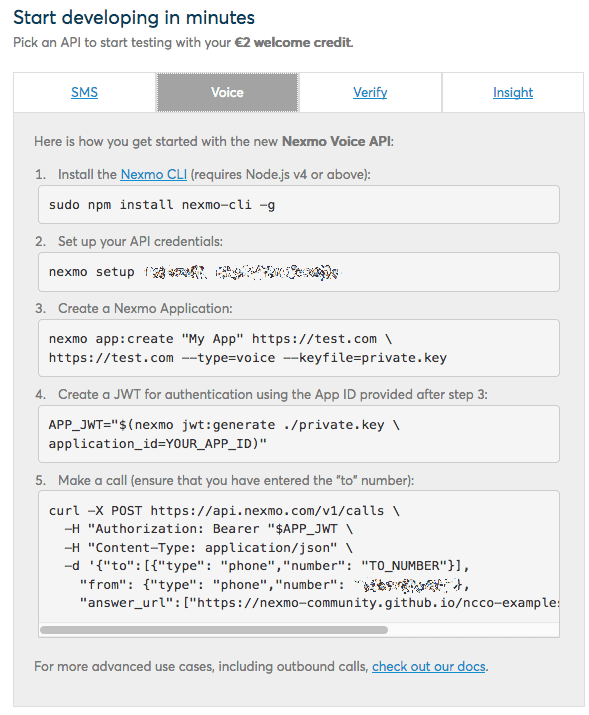 Here you can choose which function API you want to utilize, and all the coding information is right there – but users need to install the Nexmo CLI and jump right into coding. I attempted to complete the same process I had done in Twilio, but was unsuccessful in Nexmo hitting a brick wall right away. Now, this comes down to my lack of developer knowledge, and I’m sure any seasoned veteran – or even someone brand new – with more experience in development than I contain would have no problems navigating through the portal, and create the function they need. In fact, Nexmo makes this pretty simple by including the most important information and API coding to start developing literally in minutes, as soon as you log in. One function that does seem to have a large difference between two platforms is the logging. Both allow users to track almost any metric about their calls or messages, but while Twilio offers graphs and visuals, it seems as if Nexmo relies on standard logs listing out the information. Now there is a search function, and you can break it down to By Day or By Month, but this lacks the immediate visual impact Twilio’s charts include. Overall, however, Nexmo’s user experience really continues the theme of simplicity we saw in the overall design of the platform. As I explained, there are no icons used for navigation menus but instead everything is cleanly labeled, there is only one major navigation bar to help cut down on clutter, and color is left to a minimal usage to not distract yet distinguish differences. Menus are clearly sat in front of a blue background; titles are big and bold for different sections. Winner – Twilio: Following suite of my design choice, I preferred the experience of the Twilio platform – with more options, more customization, interactive docs, and functions easy enough to understand that a non-developer like myself can jump in and start playing. I will admit, some may prefer both the Nexmo design and simplicity that cuts through the clutter, but Twilio does a great job of keeping everything accessible and readable, while continuing their colorful design theme throughout. The team managed to create a platform that looks good, doesn’t get in the way, and has a customizable and interactive element. Important for any developer platform are the documents provided by the service. These Docs are the holy grail for any platform, with tutorials, guides and explanations on how to utilize, build and develop on the platform. Docs can range from simple explanations how to carry out one specific task to massive tutorials that walk users through the process of developing an entire function. When comparing docs, it is important take into account the number of docs available, how thorough the docs themselves are, what and how many programming languages the docs are available in, and the readability or usability of the docs. With slightly less experience in utilizing docs, I recruited the assistance of our in-house developer to offer his insight. From a quick glance, anyone could recognize right away that Twilio’s docs are incredibly thorough. With a selection between Quickstart, Guides, Tutorials, API Reference and SKDs sections, Twilio has variety in the docs they offer for sure. Users can also choose between languages, product, and platform. The docs themselves are not only incredibly thorough in their information, as would be expected, but where Twilio really shines is the layer of interactivity included in their docs. Some docs will include both the explanation on the left, with reference tables and resource properties that scroll, and an interactive coding section on the right. Their full-fledged tutorials will also allow users to create and develop directly in the tutorial itself – so you’re not just reading steps, you’re building along with them. Nexmo on the other hand is also no disappointment by any means. 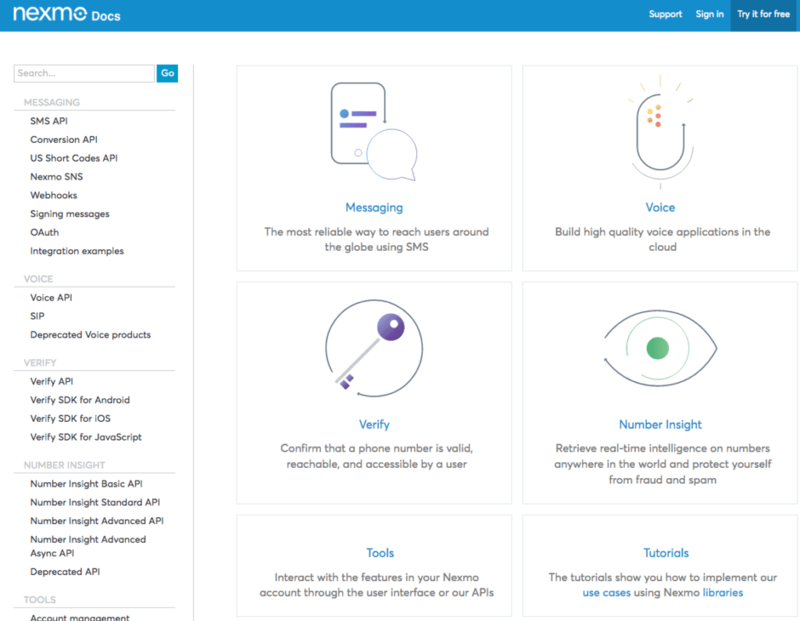 Nexmo’s docs are also incredibly thorough, with a selection between Tools to interactive with features through the user interface, Tutorials to show you how to implement functions, and Libraries developed for Nexmo APIs to easily integrate into your own apps. Nexmo also makes the distinction between Messaging, Voice, Verify and Number Insight sections. Nexmo’s docs are still thorough and rich, with diagrams, tables charts and detailed explanations. Nexmo also includes a number of programming languages, although slightly less than Twilio – they still hit the most popular ones. I don’t think any developer would look at Nexmo docs and think they’re missing anything. However, the major difference here is the level of interactivity that Twilio brings to their docs. They simplify the process slightly, and offer interactive tools to build right in the tutorials themselves and go hands on as you are learning. 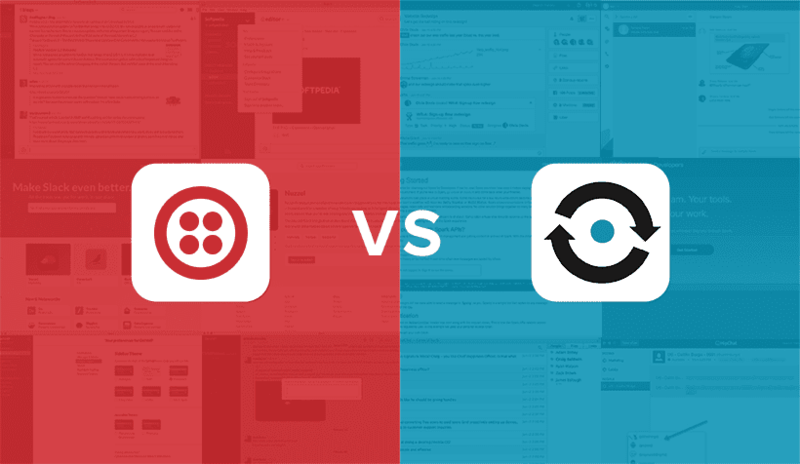 Winner – Twilio: Again, both Nexmo and Twilio are almost even matched when it comes to docs. Based on the recommendation of our in-house developer, and my own observations, Twilio again goes above and beyond with interactive tutorials and API References. This time, these are more than just a nice design gimmick, but are true productivity tools. Both platforms are very similar in the functions, features and services they provide users. 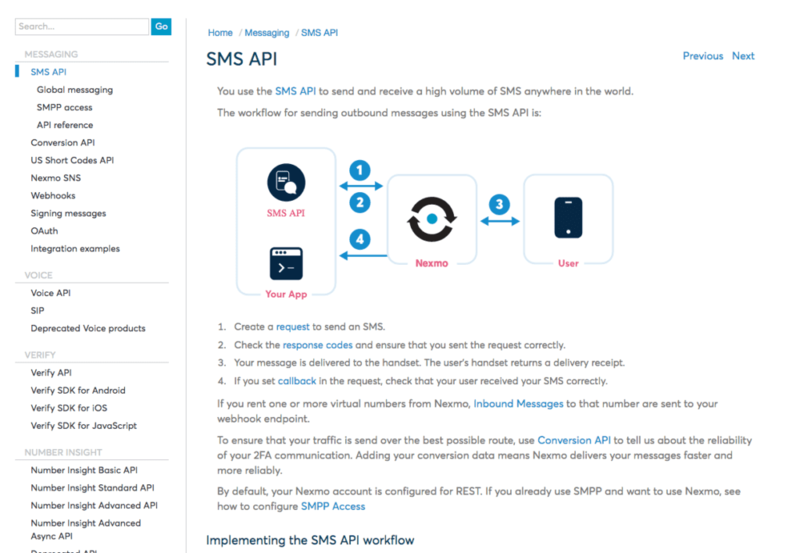 With Voice, SMS, and Authentication available from both Nexmo and Twilio, the key differences lie in not only the specific features included for each section, but also what functions if any the platforms include beyond these three. In this section, I rounded up the most relevant information provided by both Nexmo and Twilio to offer as close to a complete comparison as possible. Winner – Twilio: While they do not dominate in features, Twilio seems to go the extra mile and offer just a little bit more, like Video support and some unique features like Sticky Sender, which will reply to a user with the same number for reoccurring requests. 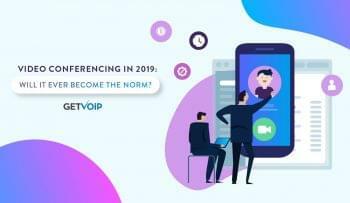 When it comes to the pricing of these platforms, the paradigm is different from what we have seen when comparing VoIP providers or even Team Collaboration apps. Generally, the cost of a platform is a reoccurring monthly fee based on the active users – however with Nexmo and Twilio, pricing is broken down between the phone numbers your account owns, and the incoming our out coming communications that occur. Pricing will of course differ between outbound and inbound messages, as well as between voice, SMS or authentication functions. Winner – Nexmo: Nexmo just ends up being cheaper for the majority of pricing, especially with their billing by second for voice calls. Of course for any Cloud platform, support is as crucial as the user experience – if something ever goes wrong, you want to ensure help is there and that it will arrive within a reasonable window. With both Twilio and Nexmo, every account will start with standard, free yet limited, support. For a bit of a premium, users can upgrade their support to varying levels. Free – Email support only Monday to Friday response times of 2h for Critical issues with 6h for normal issues. Saturday and Sunday response times jump to 4h and next business day respectively. Service status notifications are included. Premium – $5,000 a month for 24×7 email, phone and chat support, 30min to an hour response times, and your own designated support engineer. Winner – Twilio: With so many more options to choose from, Twilio helps any size business find a support plan to find their budget. At the end of the day, both Twilio and Nexmo should satisfy the majority of users and developers. Both providers offer comparable features, functions, products and service. Both providers include detailed and rich docs for developers, as well as a well thought out design and a solid user experience. Both providers include comprehensive support, and allow users the option to upgrade support for 24×7 coverage and personal engineers. There is no doubt that Nexmo will fill the needs of any business that would otherwise adopt Twilio, and in fact Nexmo beats out Twilio when it comes to certain pricing – which alone would solidify the provider as the only choice from some teams – in fact some might even prefer the simplicity as well. Also worth noting, Nexmo does seem to have a stronger international presence for those that do business overseas. However, if your team is looking for the best of the best, a platform that goes above and beyond then Twilio is your answer. Between the extensive interactive docs listed in ten different programming languages, a more complete dashboard with what feels like even more control, and even small benefits like visual graphs for your data logging. Both Nexmo and Twilio get the job done and do it well, just Twilio always came out on top with just a little extra cherry on top. In the end, I wouldn’t rule out Nexmo at all – and I am personally curious to see what Vonage has planned up their sleeve for the provider coming in the next few years. Who knows, maybe they’ll shake up some of the expected 2017 trends.